The urban Indian population of 15 to 49 years speaks 2 languages. Along with this, every sixth person knows three languages. As the population grows, the ratio of population to know more than one language is reduced. It includes both urban and rural India. Recent census data have revealed that in this case, gender gap in urban and rural India is continuously decreasing. It has been revealed in the census that about one-fourth of the country's population can speak two languages, while only seven percent of people know the three languages. This figure does not show the difference between urban and rural India. While there are about 22 percent of people in rural India who are interpreters, the figure reaches 44 percent in the city. As far as knowing three languages is concerned, only four percent of the population living in the villages comes in this category, whereas in the cities this figure is 15 percent. Age of 20-24 years is such that most languages can speak. Differences on gender basis also increase after 70+ age. 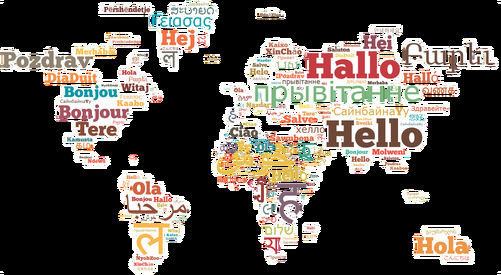 25 percent of men know two languages, while in the women it is only 16 percent. That is, there is a difference of about 9 percent between the two. Although this difference is not so big in the three languages that know the languages, there is also a pattern of difference in age with age. As far as learning two languages in urban areas is concerned, this difference is much less compared to rural areas. Interestingly, when it comes to knowing three languages, about 20 percent of the 50-69 age group in the city fall into this category.